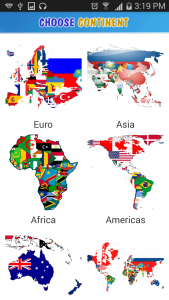 Funny Flag Quiz is the educational applications on national geographic (flags) countries and territories around the world. 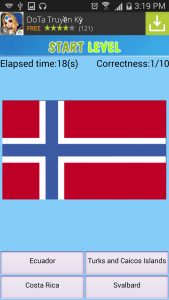 Applications include high quanlity image of all flags so far. – The learning function designed to help learning easily. If the answer is incorrect, the application will give answers to the player in mind. – The learning for selection on each continent, the whole world. 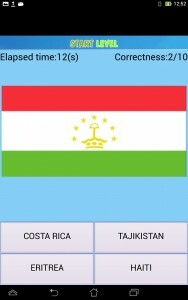 – Funny quiz function helps you check the memory of the flag of the country. The puzzle is divided into 5 different difficulty levels suitable for all ages. With each level the player will have to answer correctly> 90% to pass to the next level. – Including 242 countries and territories. – Easy to share result for friends. You will surely love educational applications of this useful!